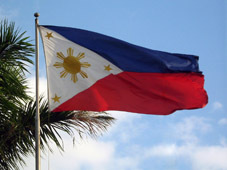 On 10 May 2010, after tremendous preparation, the Philippines experienced its first Philippine Automated Elections, when the country experienced the breakthrough of IT in the electoral process. It was provided by the Philippine Republic Act 9369, which is known as the ‘Poll Automation Law’. It gave a ‘fresh glimpse of experience’ to the national and local candidates and most of all the voters, for them to see who automation polls gunned up with more effective and efficient electoral processes from its casting of voters’ ballots until the canvassing and proclamation of the winners. Despite its effective outcome of just ‘US presidential elections’, where presidential candidates easily conceded, vote padding in an electronic version has been a major allegation by some candidates who lost the election, specifically in the vice presidential race, where the two front-runners are in the ‘neckline vote margin’ (the runner-up of the said candidates claimed that ‘null votes’ should be counted, since those are the votes of the electorate and cannot be disregarded). But the new system of the electoral process here in the Philippines, the Precinct Count Optical System, known as the ‘PCOS Machine’, that was used during the said election disregarded null votes as a result of over-voting, under-voting or some marking that was perhaps unintentionally made by the voters. With the current scenarios like in the manual elections, where ballot switching and tampering with election returns is very rampant, how can the Philippine electoral system be in a good scenario wherein a new system has been adopted since then? Looking forward on the basis of the Philippine Constitution (1987 Philippine Constitution), Article V states that the right of suffrage shall be exercised by the country’s entire citizenry unless being disqualified by law and is very clear that such is an eminent right and privilege (more emphasis on the second, since not all citizens were granted their political rights, due to restriction on the juridical capacity) that should be observed by the sovereign. Furthermore, the rules of the Commission on Elections and their promulgation should observe that the will of the people must be observed and not be denied by technical problems, according to the fundamental doctrine of the Philippine election laws in terms of their interpretation. Thus, vote buying and rules of appreciation of ballots are different dealings whereby the former shall be strictly against any person or candidate who contributes goods or money for the exchange of votes while the latter speaks to the liberality of the counting of votes regardless of strict regulation that did not initially become votes due to intentional fraud or stray mistakes.